Paper Poppies Hand-made to Order. 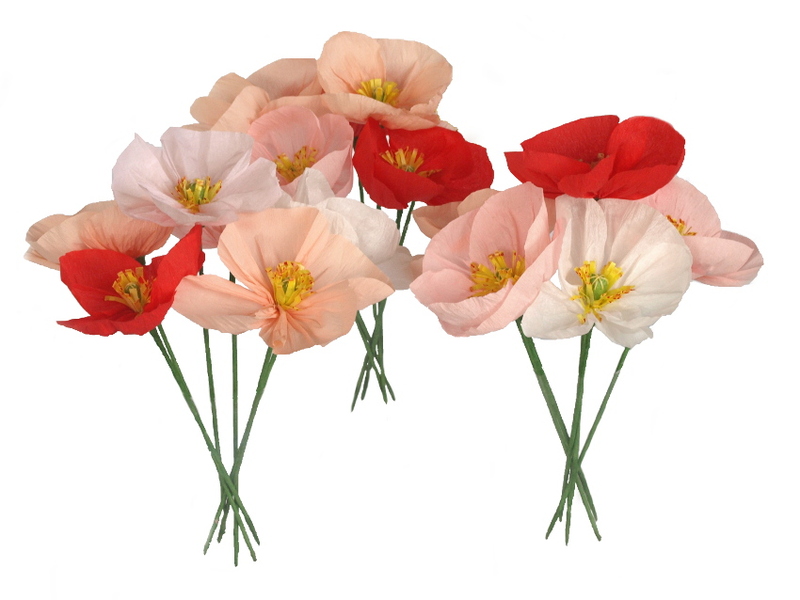 Paper Poppies – creating the parchment version of Papaver nudicaule, more commonly known as the Iceland Poppy was a colourful delight. The gentle, bright hues were a treat to work with. Following this commission, we’ve added these to our Freshly Found repertoire. 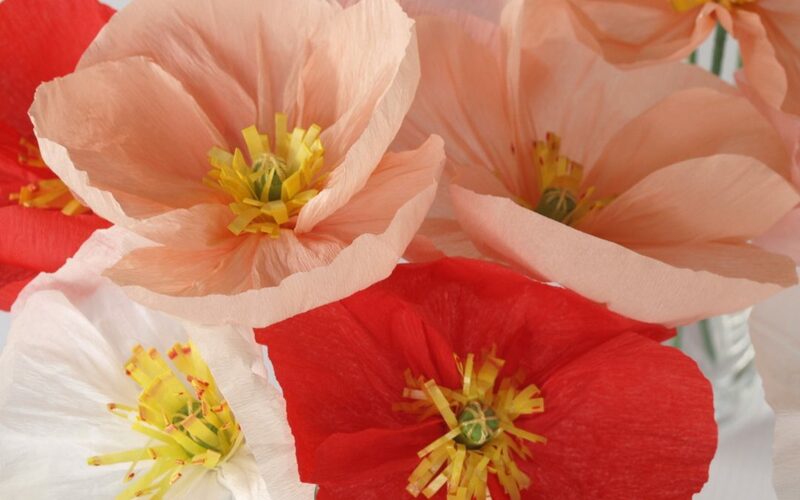 We are Durban based, but are able to courier our paper flowers all over South Africa and to many countries in the world. Contact us for pricing. See our paper proteas, paper roses and other paper flowers too. 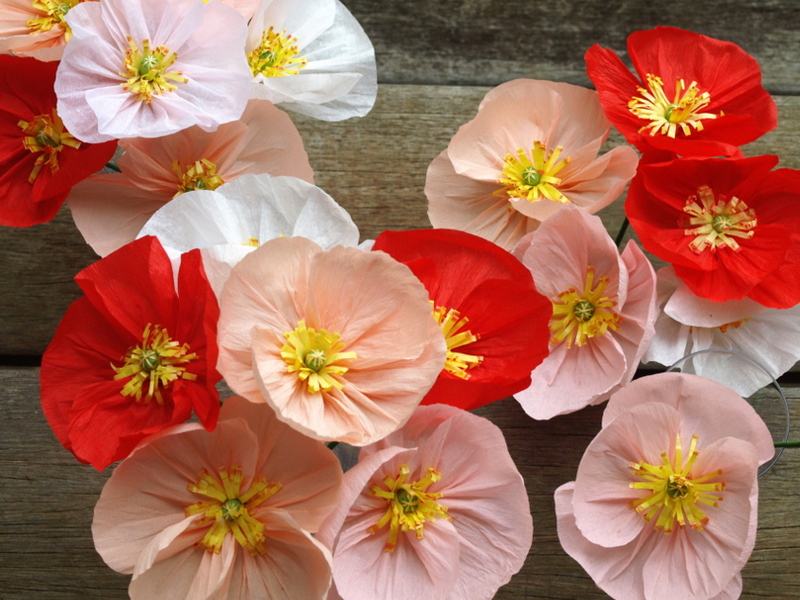 On a poignant note – Paper poppies are not new. A poem written about the soldiers who died in World War 1 Trench Warfare in the Poppy Fields of Flanders was the inspiration. 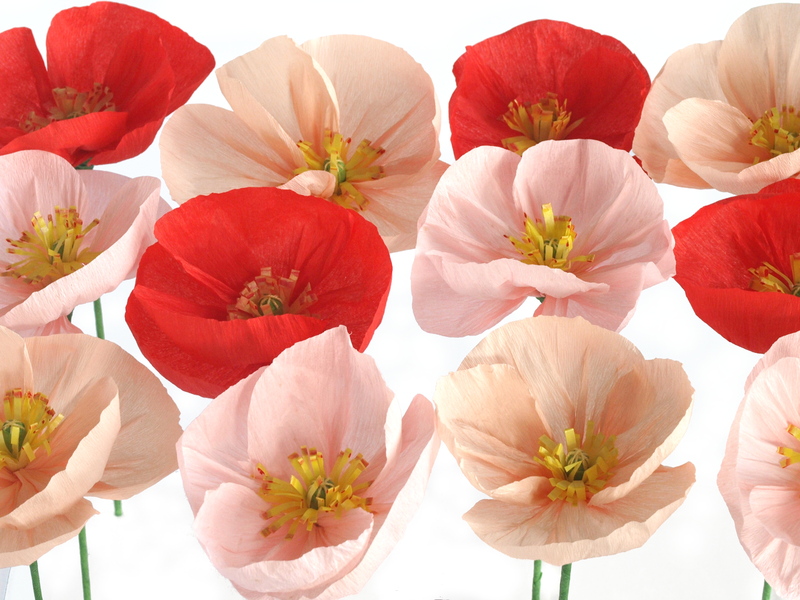 Since 1921 they have been worn as Remembrance for soldiers who have lost their lives in war.